I can remember my first waitressing job at a British pub. It was 2003, and I was a mere 21 years old. I barely knew anything about food, wine, cocktails, or really any of the finer things in life. I can recall the bartender telling me that vermouth (a fortified wine infused with botanicals) was disgusting, so bad that when you use it in a cocktail, you simply swirl it around in the glass and dump the rest out. Why would anyone want to add something to a drink that tasted so bad? I wrote off vermouth as something I never wanted to put in my mouth. Years later, I learned from a bartender at Bar Agricole that vermouth should always be stored in the refrigerator. It’s wine, after all, and it oxidizes like any other wine. Most people think vermouth is disgusting because they let it sit out at room temperature for months, using a splash here and there. Even bars are guilty of leaving their vermouth out, which might be one of the reasons that a Manhattan is rarely good at a bar. Even if it’s being refrigerated, it’s going to oxidize, and you should use it up within a couple of weeks. So I started storing my vermouth in the refrigerator. I was still buying the cheap stuff, because I was only using it in cocktails. 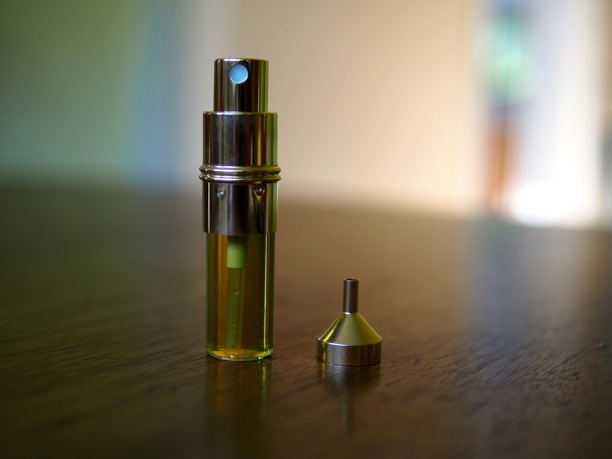 Really, you are only using a half ounce at a time, what difference could it really make? What I came to realize is that a $5 vermouth is about as good as a $5 wine. I knew that there was good vermouth out there, as it’s a popular aperitif in Europe. People drink it straight! I couldn’t believe it, but it’s true. 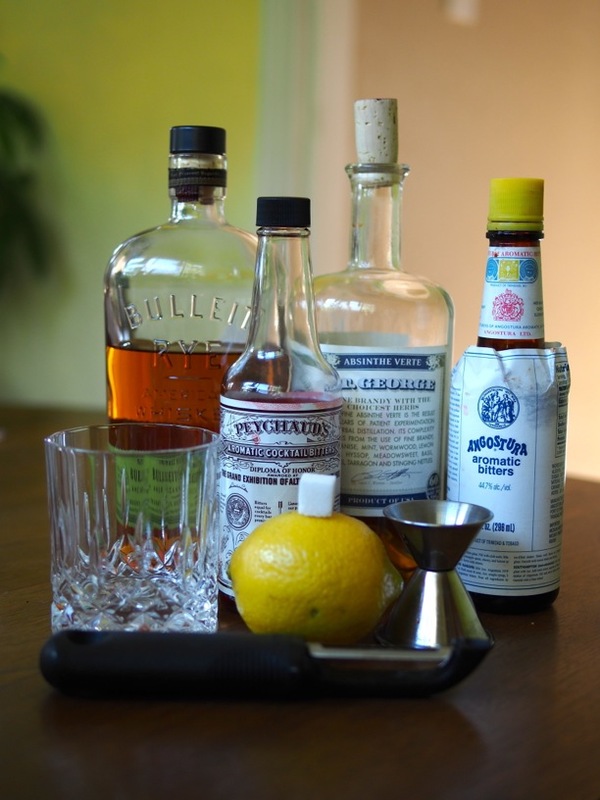 There is a scarcity of craft vermouth here in the states and it’s pretty difficult to find. A few people are making it, but not many, and you really have to know what you’re looking for or get really lucky to find a good one. Well, call me lucky! I was recently at Ruby Wine in San Francisco – a great little wine shop with an unbelievable selection of wine. I noticed an odd-looking bottle at the register and asked about it. Turns out it was a white (bianco) vermouth from Piedmont, Italy. It was around $40 for the bottle and the shop owner told me a little bit about it. 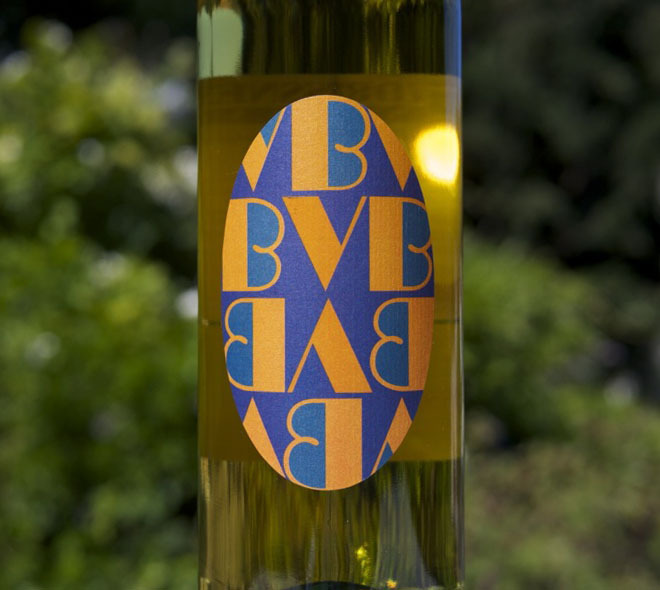 It was a blend of Cortese and Moscato, two Italian grape varietals commonly grown in Piedmont. I was intrigued and thought I’d give it a shot. 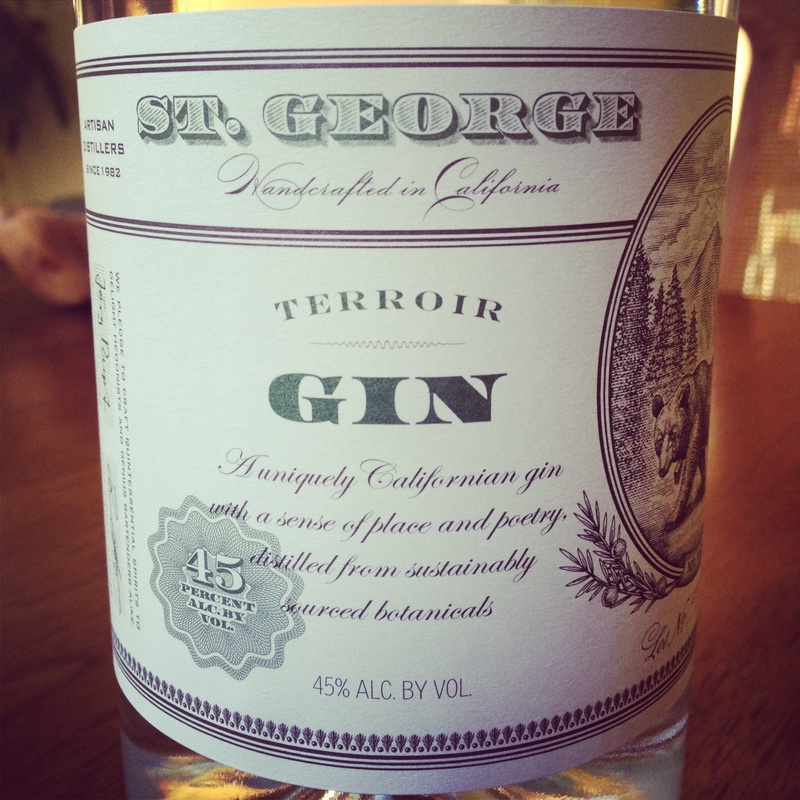 He told me to serve it with a sprig of rosemary on the rocks. 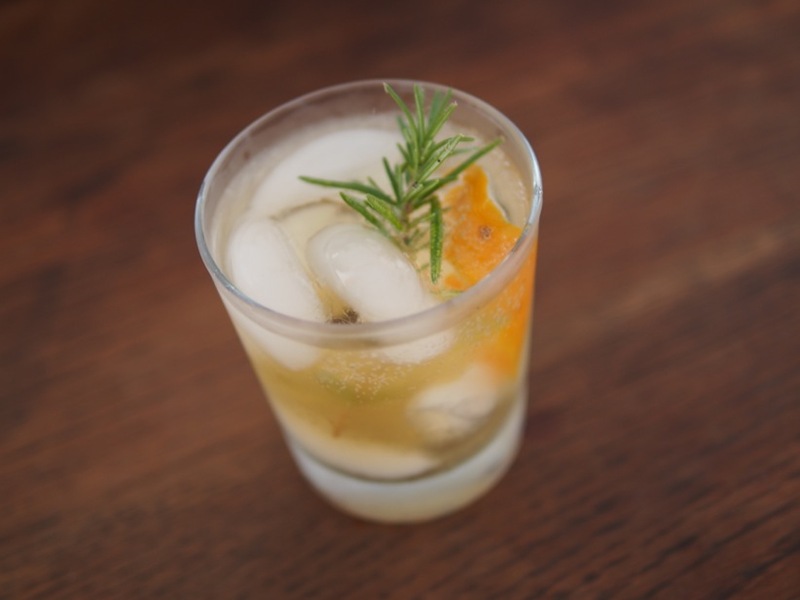 I followed his advice and not only threw in a sprig of rosemary, but also a twist of tangelo (it’s what I had on hand, and orange/rosemary are a lovely pair) and a splash of soda water. The outcome completely changed my preconceived notions about vermouth. It was intensely complex; slightly sweet, bitter, herbaceous, fruity, refreshing – all of the elements I want in a cocktail. I can’t believe I’d been blind to this for so long. I have no regrets about spending $40 on a bottle of vermouth, it’s that delicious. I could drink this stuff every day, and I most certainly will until the bottle I bought is gone. It would be a shame to let it go to waste! For those of you who are interested, the vermouth I bought a Mauro Vergano Vermouth Bianco NV, imported by Louis Dressner. There is still one bottle left at Ruby Wine. If you see this stuff at a store and want to give it a whirl, I highly recommend it. Make sure you also pick up some rosemary, a citrus fruit and some soda to spruce it up. You won’t be disappointed! Here at Winelandia, we are big fans of doing things “the hard way.” Sometimes doing things this way yields better results than doing them “the easy way,” and generally it’s never as “hard” as it initially sounds. Case in point: tonic. Buy the cheap stuff (Schweppes or Canada Dry) and what you end up with is high fructose corn syrup-infused, quinine-laced, artificially flavored Citrus Drank. It tastes about as good as it sounds. Go a step further and buy Fever Tree brand tonic and you are in much better shape… although it costs about $6 for four small 7 oz bottles. Our advice is to ditch the commercial options and make your own. No tonic tastes better than the kind you can make yourself. There are a few fundamental principles of tonic. First: It always contains quinine, a chemical which occurs naturally in the South American cinchona tree’s bark. This chemical has been known to reduce fevers, act as an anti-inflammatory agent and anti-malarial, and has medicinal uses dating back to the 17th century. Second: Tonic usually has a citrus flavor which can be derived from the zest or juice of any citrus fruit, or by adding lemongrass. Really, you can use whatever you want but I think citrus as a foundation is a good plan when you are first getting started. Third: Tonic needs to have flavor components to balance out the bitterness of the quinine; botanicals have been added to tonic as flavoring agents to make the healthful tonic more approachable, but I think it’s more important to use sensory elements such as sourness and sweetness to balance out the bitterness. We do this by adding sugar and citric acid to the tonic. The most difficult part about making tonic is finding a supply of cinchona tree bark. If you live in a culturally-diverse major metropolitan area, you can find it pretty easily at Asian or Latin markets. It’s usually sold in baggies with the other spices. If you can’t find it at the store, you can find it online pretty easily. 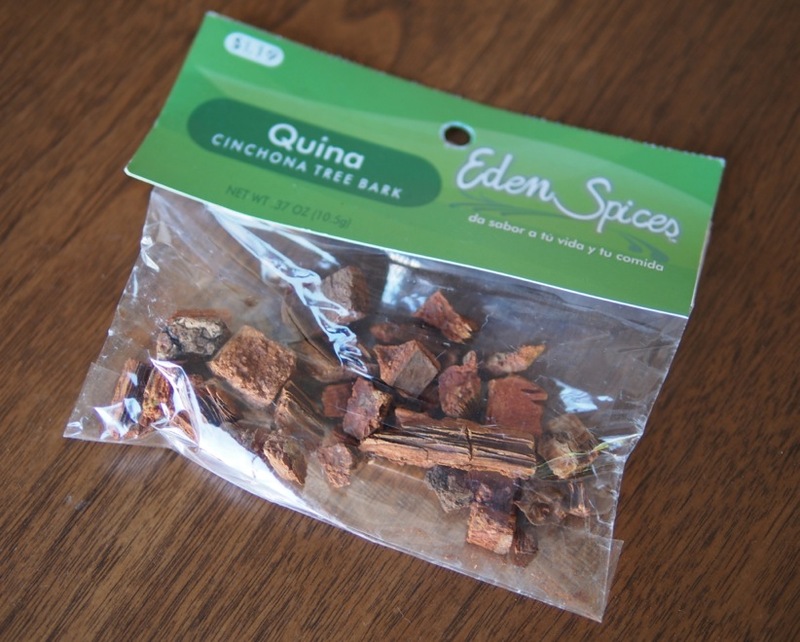 I can’t attest to any of the brands found online, but I can find this Eden brand cut cinchona bark at the Duc Loi market on Mission street in San Francisco. You can find it in two different forms; powdered or cut. I have only ever found the cut bark at the aforementioned market, but you can put it through a mill grinder to make powder if you want a more concentrated tonic (don’t hold me responsible if you break your mill grinder, that bark is tough). Cinchona bark is dirt cheap, I recommend stocking up if you find it in a store because you will undeniably want to make gallons of tonic after you experience your first sip. Citric acid is another ingredient that can be a little tough to find, but you can always find it at your local home brew shop, as it’s a common chemical used in home brewing and winemaking. If you’re unable to find it at a store, you can find it easily online. I got mine on Amazon. Once you have your cinchona tree bark and citric acid, the rest of the ingredients are really easy to find and you can channel your creative energy into new, unexpected and exciting flavors. I am going to post a basic recipe first, and then I’ll post a list of potential ingredients that you could mix and match to make a flavor profile to complement your favorite gin. 1. Combine sugar, still water, citric acid and cinchona bark in a small saucepan and put on medium-high heat. 2. 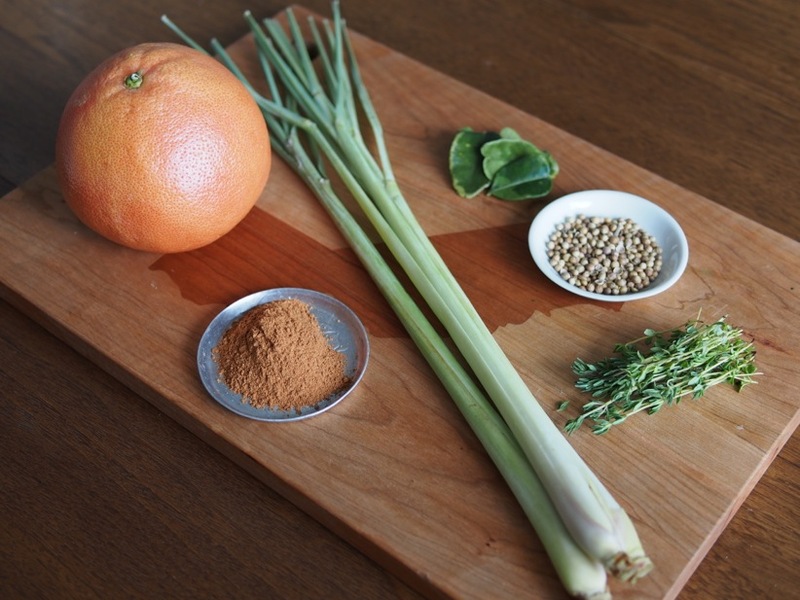 Cut lemongrass into 1/2″ pieces on the bias and add to saucepan. 3. Zest lemon and lime, then add zest to saucepan. 4. Juice lemon and lime into saucepan. 5. Bring to a boil, then reduce heat to low, cover and simmer for 25 minutes (if using ground cinchona) or 45 minutes (if using cut cinchona). 6. Remove from heat and let steep for 30 minutes. 7a. IF USING CUT CINCHONA: Strain mixture through a fine mesh sieve into a sterilized glass jar. 7b. IF USING GROUND CINCHONA: Strain mixture through a fine mesh sieve to remove the large solids; then run the mixture through a coffee filter, 4 layers of cheesecloth, or french press to remove the finer particulate matter. Ground cinchona is very fine and will take a very long time to strain if using a coffee filter. Be patient, the coffee filter method will produce the most visually appealing result. Once filtered, put into a sterilized glass jar. 8. 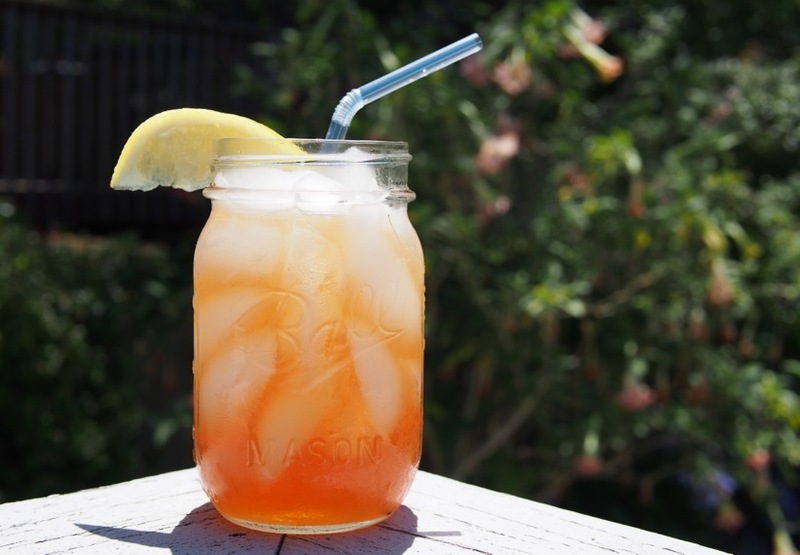 Allow tonic syrup to cool. 9. Add 1 part tonic syrup to 4 parts carbonated water for consumption by itself, with a squeeze of lime; or as a cocktail (just add 1 oz. gin or vodka). 10. Store left-over tonic in the refrigerator for a week or freeze for later use. Now that you have your basic recipe down, it’s easy to start adding/replacing botanicals to create a flavor profile all of your own. 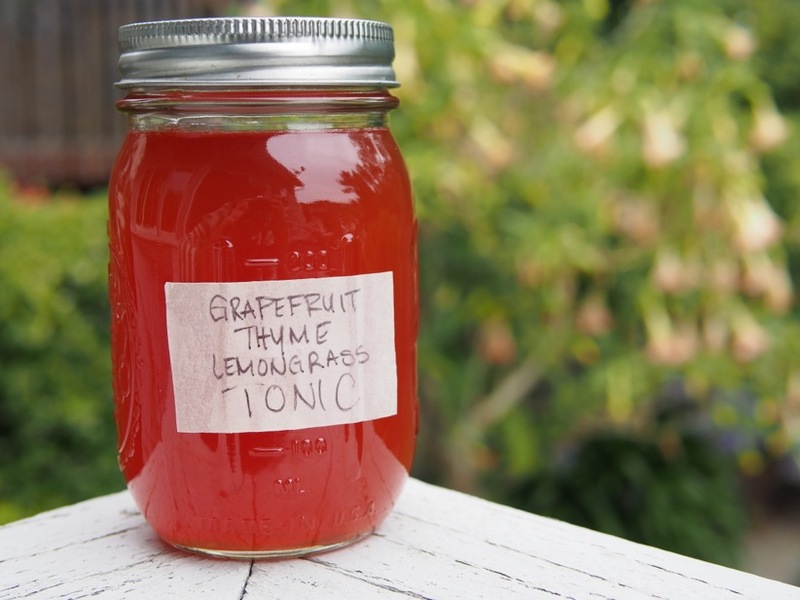 My suggestion is to look for things you already have in your kitchen that will add a delicious and unexpected flavor combination to your next batch of tonic. Below are some ideas I’ve gleaned from my own kitchen, friends and research. In reality, you can add anything. Just be sure to use an ingredient that can hold up to extended periods of heat without damaging the flavor. Do you have suggestions for other botanicals to use in home-made tonic, or combinations of them to create new and delicious flavors? Let us know in the comments! 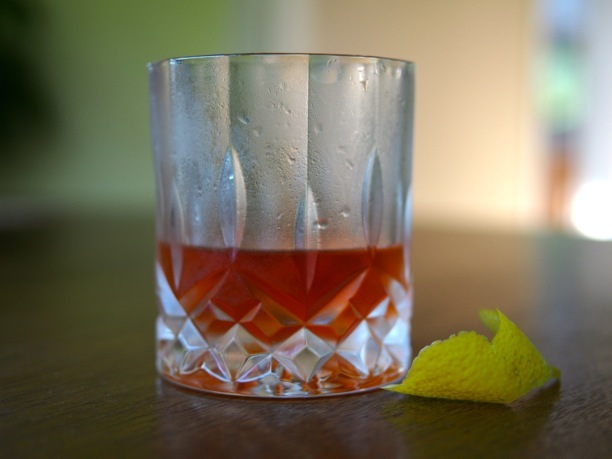 If you are a whiskey lover like me, you may have had the pleasure of enjoying a Sazerac at some point in your life. The Sazerac is an old-fashioned cocktail from pre-Civil War New Orleans; it’s a combination of Rye whiskey, Absinthe, water, bitters, sugar & lemon. This highly aromatic, spiritous cocktail is complex, balanced, slightly spicy and extremely delicious when prepared correctly. 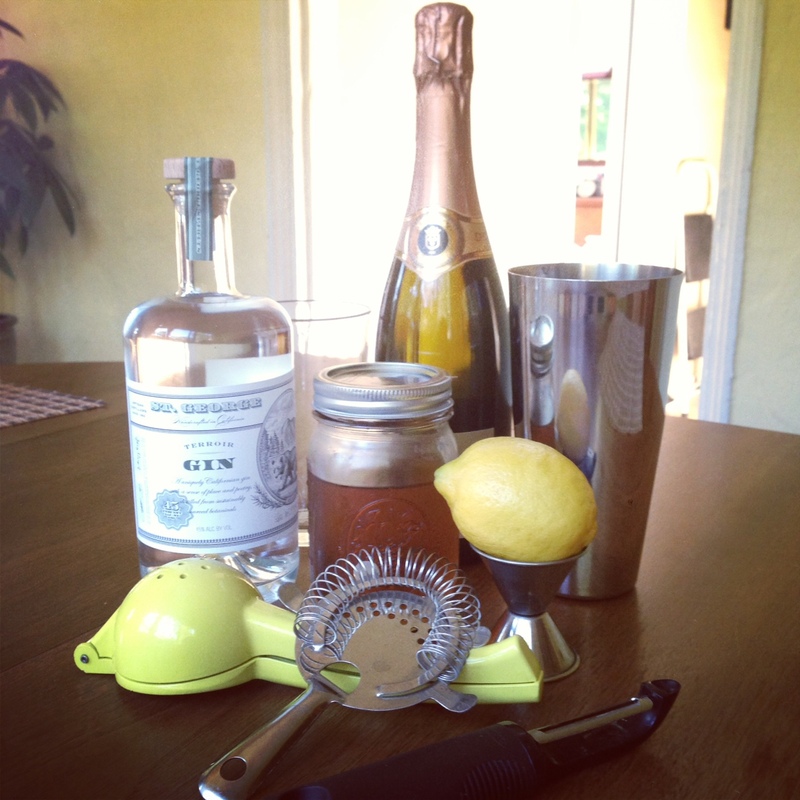 It’s very important to follow the recipe precisely – being sure to measure your ingredients – when making this drink. It can easily fall out of balance. I’ve had more bad Sazeracs than good ones when ordering them at a bar or restaurant. There are several variations of this cocktail and you might see it made with Cognac instead of Rye, or with different kinds of bitters. Traditionally it’s made just with Peychaud’s bitters, but I like to add a little dash of Angostura bitters to provide another layer of complexity. One other important factor, I believe, is using the most minuscule amount of Absinthe as possible. The flavor and aroma of Absinthe is so strong that it can easily overpower the drink. The leading principle behind this cocktail is not necessarily the ingredients, but how it’s prepared. Instead of a cocktail shaker, you use two chilled glasses equal in size; one for mixing the cocktail, the other for ‘rinsing’ with Absinthe and serving. The method is described in detail below. One thing I would like to point out is that instead of ‘rinsing’ the serving glass, I use a little perfume-type bottle filled with Absinthe to spray the inside of the glass with. A really wonderful bartender I met in Austin was kind enough to give me one when I marveled at his as he was making me a Sazerac. It’s pure genius. Chill both of your glasses, one filled with ice. Drop the sugar cube into the chilled glass with no ice. Add just enough water to moisten the sugar cube. Add 2 dashes Peychaud’s bitters & 1 dash Angostura bitters & muddle the sugar cube. Measure and pour 1.5 oz. rye whiskey into the glass. Add a few ice cubes to the glass and stir gently for 10 seconds. Empty ice cubes from the second chilled glass. Add the smallest amount of Absinthe, swirl around the glass, and dump the excess out (or use a spritzer like I did). Strain the mixture from Glass #1 into the Absinthe-washed Glass #2. 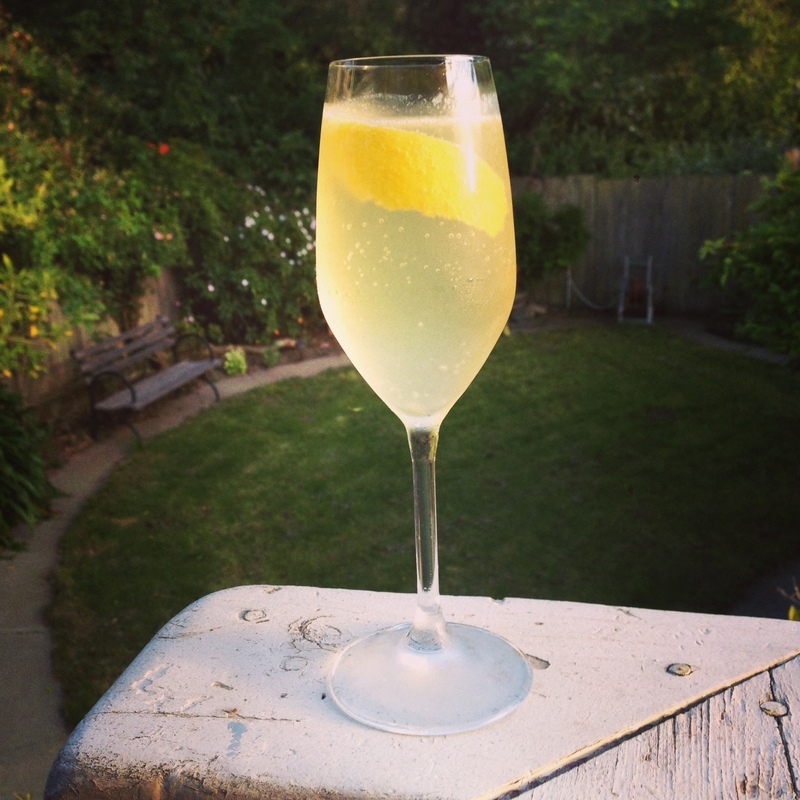 Peel the zest of a lemon over the glass, twist the zest over the glass, and wipe around the rim. Discard the lemon twist & enjoy your cocktail. If you made it right, this cocktail should be lemony, anisey, oaky and spicy all at once. It’s truly a gentleman’s drink, or gentlelady’s drink in my case. Enjoy!